geoscibites – "Take a bite out of Time"
Intro. Climate Monday at GeoSciBites is the day devoted to the various forms of climate science. Climate refers to the long-term average properties of weather, so Climate Monday will focus on atmospheric physics and chemistry. Long-term weather properties don’t just depend on what happens in the atmosphere, but also how the atmosphere interacts with the oceans, soil, ice and rock of the earth. These interactions are key to understanding climate and climate change, so they will be included in Climate Monday posts. Meteorology and other atmospheric fluid dynamics. Rock Talk Tuesday: Sedimentation is one of the few true carbon sinks and is a key process in long-term climate change. Paleoclimatology is the science of finding out about the climate by studying these and other sediments. Erosion of the solid earth is a component of all biogeochemical cycles and affects climate by providing trace gases. Wet Wednesday: The ocean is a buffer for climate change, exchanging heat, momentum, and trace chemicals with the atmosphere. In addition, the water cycle (evaporation and precipitation) is key to understanding climate. Dirty Thursday: Half of soil is actually air, and this air interacts with the atmosphere above. Plants depend on certain nutrients in the soil that can be absorbed from the air, like ammonia. Plants also emit nitrogen oxides and other chemicals that can heat up the lower atmosphere and contribute to the particles that make up air pollution. Many other overlaps exist, but the above examples should give a flavor of how broad and integrative climate science is. What it is not. Climate Monday will not discuss purely anthropogenic factors (society, culture, economics, etc.) except to the extent that these things influence the climate system. For example, a study linking energy demand to sulfate air pollution would not be considered for Climate Mondays, but one linking energy demand to sulfate-induced effects on clouds might be considered. We at GeoSciBites take this approach not to discount the importance of these anthropogenic factors, but rather to allow climate science enough room to be explored. These social factors might be included in Feature Friday pieces along with other science-related topics. Modern climate science relies heavily on computer models. Familiarity with the complexity, intent, strengths and weaknesses, and other features of a model is crucial to engaging with current research, but this context is often a large barrier for new students. Our hope is to provide this context when necessary and cover papers in which important or insightful advances are made in climate modeling and to point to resources for learning about these models, but otherwise avoid dwelling on the field. Final Comments. Climate science is cross-disciplinary. I encourage those who might not consider themselves “climate science” students to submit or suggest articles to Climate Mondays. It can be a prime opportunity to put interesting work into a broader perspective (wonderful writing practice for grant proposals!). These articles can also introduce climate scientists – who come from physics, chemistry, biology, and all of their subcategories – to your particular field and get them engaged with research they otherwise wouldn’t have learned about. Such engagement is what we’re all about here at GeoSciBites and a core principle of the Bites programs. Thanks to Noelle, we have a nice, new background image and tagline “Take a bite out of Time” (though I am trying to get it to work). I also added a few author bios to the site. Also went through and added glossary information for soil science and links to educational sites. We are looking to expand this list in the future. We are in the process of trying to find out how our submissions process is going to work, and finding more authors to volunteer. (Noelle may have already gotten a bite! :D). Now, back to pretending to work on my dissertation. 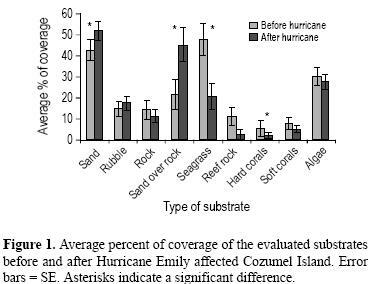 After the resounding success of the Astrobites group, the Environmental and Geoscience Community thought that we could try to replicate these successes with Geoscibites. Geosciences is a large field encompassing many different disciplines. These fields include climate science, oceanography, geology, soil science, hydrology, atmospheric science, volcanology, and more. However, there is a lot of awesome research to share with you, the adoring public. We will be digesting and summarizing important new research findings and classic papers for science educators, undergraduates, new (and old) graduate students, and anyone else who is interested (Rock On Rock lovers!). We will do this in a science jargon free manner. We also will feature profiles of scientists, field characters, career tips, and any other ideas that you recommend. 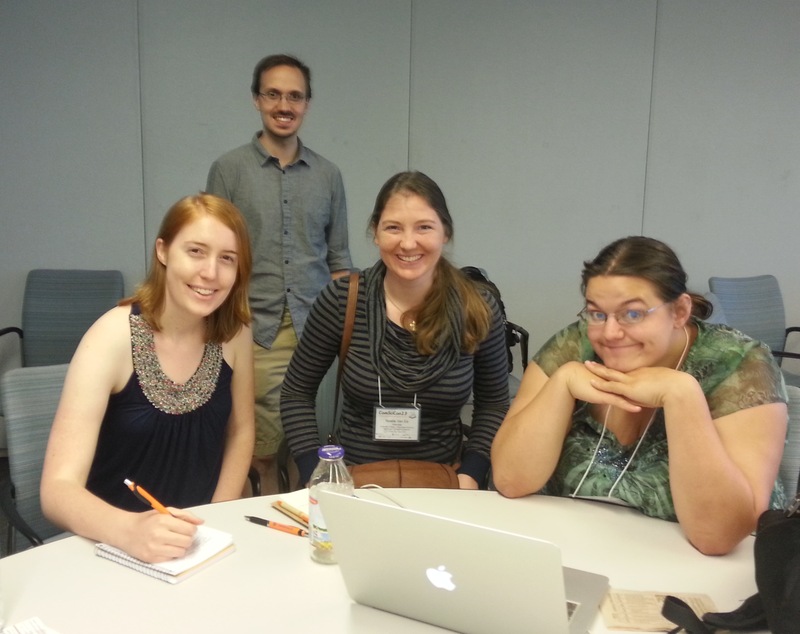 The founding group of the Geobites website got together at the 2013 Communicating in Science Workshop (ComSciCon) for Graduate Students at Harvard/MIT in June 2013. It consists of six graduate student members from varying disciplines and universities. We are hoping to expand to having more contributing members, if you are interested, please email geobitesinbox@gmail.com.